Not knowing exactly where I want to go right now. No shortage of directions. I believe frizztext was commenting that he liked The Last of the Mohicans page – which always gives me cause to look things over again – and I inevitably see a lot that I want to fix or edit. I initially stopped working to the TLOTM page because it was getting so large (by my estimation). But I’ve gotten over that and will now add quite a bit more! 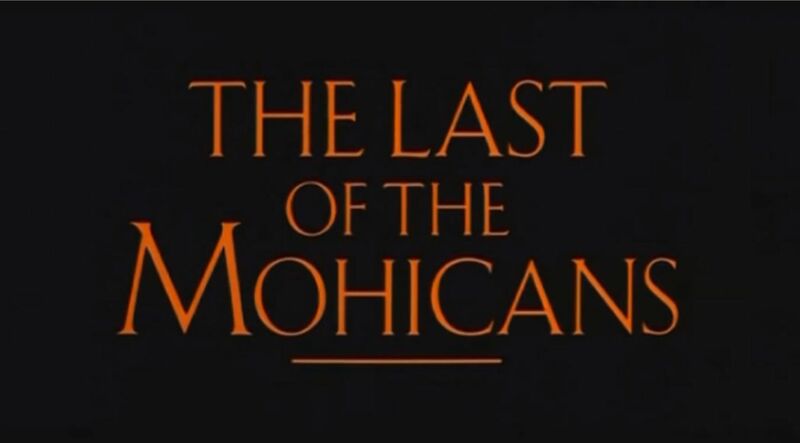 The Last of the Mohicans is a great movie and a huge favorite of many people. In fact, it almost seems to have it’s own fan club. There is much dissention among the fans about the 5 separate DVD versions of this film. Some applaud newer versions while others are mortified that some features, such as the removal of dialogue, has changed the movie from the original. I would question such changes myself and the Director’s Cut is one version that does precisely that – not that most of us would notice. This raises the issue of Director’s Cuts in general – some, of which, improve a movie – while others seem to do the opposite. ‘More’ or ‘Less’ of something is not always a good idea. 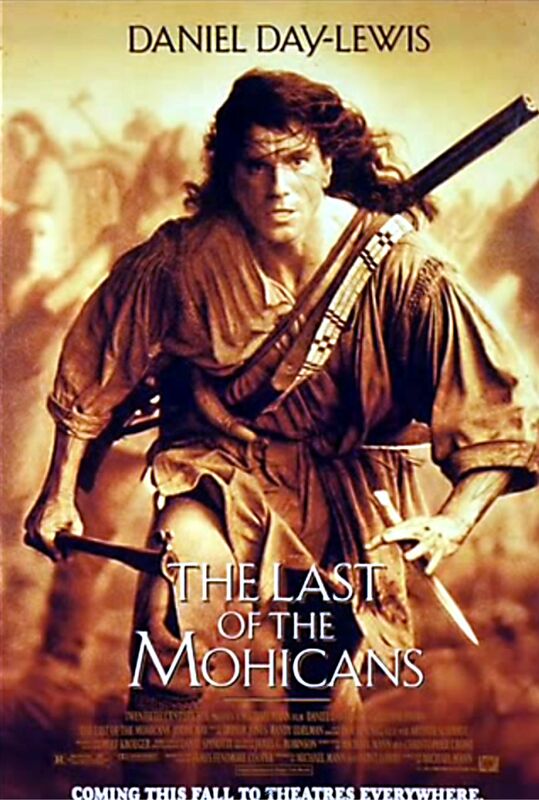 Another interesting Mohicans anomaly is the abundance of ‘clips’ available on the net – some fairly lengthy – where you can watch most of the best scenes in the movie. I could easily devote a whole page to the numerous clips alone. I can only guess this has occurred due to the number of versions?? Excellent post! 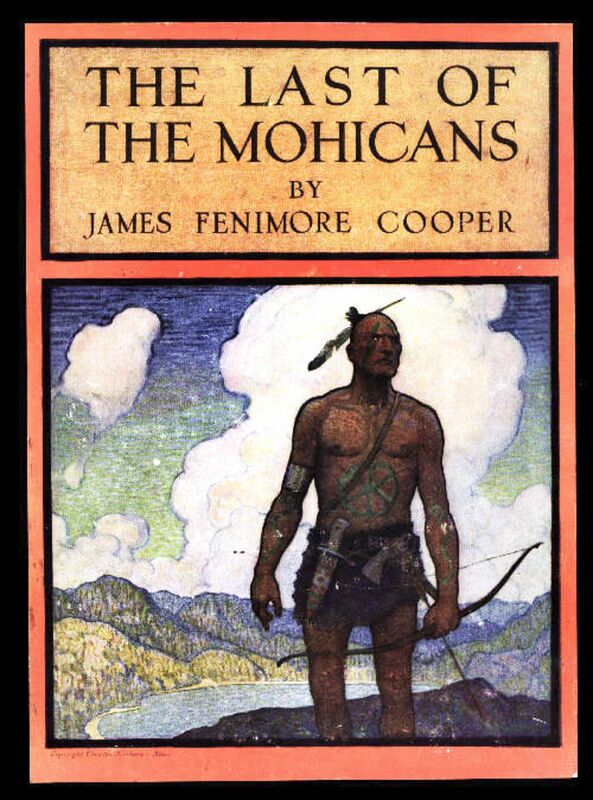 I LOVE this film, this book by James Fenimore Cooper and Daniel Day Lewis. Well, shoot, I love the Indian scenes, the music, the scenery, the conflict between Royalist/French/Frontiersman/Native American dimensions. 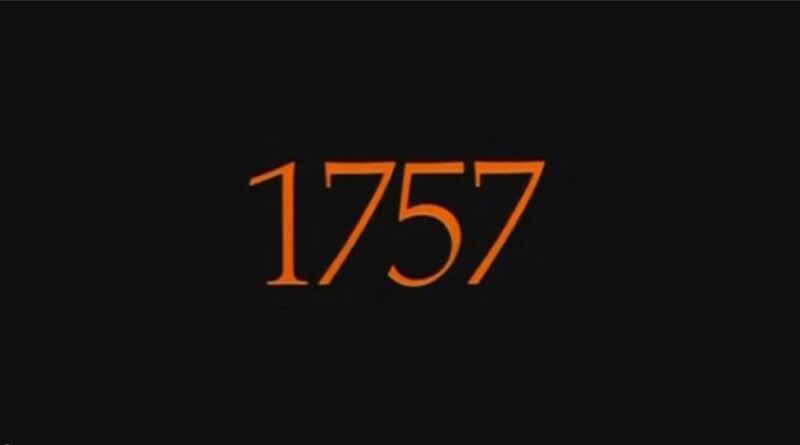 It was a wild, amazing time in 1752. 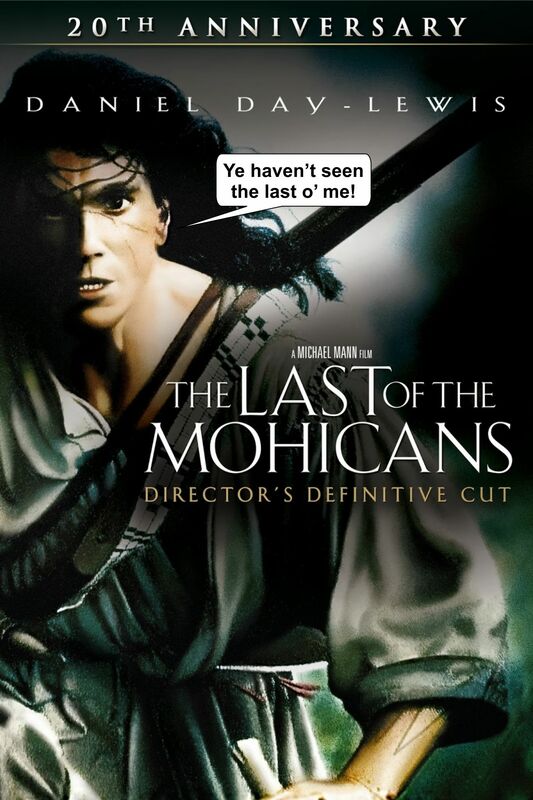 I wonder what a “3 hour” version of Mohicans would be like? 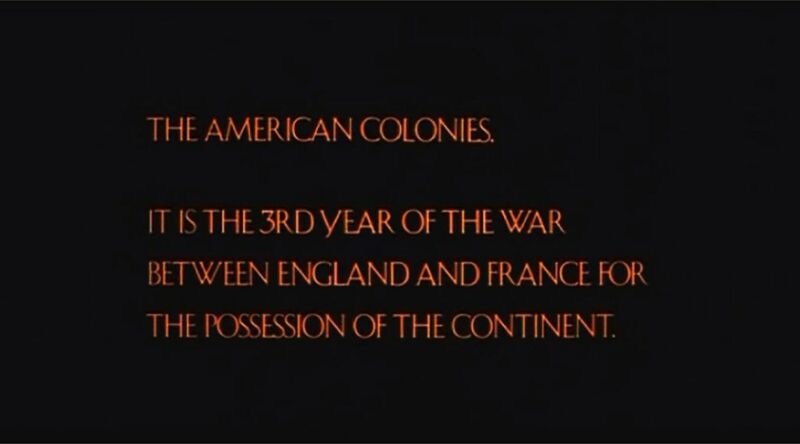 That would surely sounded crazy in 1992, but since then movies have gotten longer and longer, with many (most?) being over 2 hours long these days. Costner’s extended version of ‘Dances with Wolves’ is 4 hour long!! And you mention the music – extremely powerful and moving – by Trevor Jones. I was listening to the many different interpretations on You Tube – must be at least 20 or 30 versions on there. Great stuff.